During the early stages of development, entrepreneurs have much to focus on as they pursue funding through the highly competitive Small Business Innovation Research (SBIR) and Small Business Technology Resource (STTR) federal grant programs. Landing money through SBIR/STTR, described as America’s largest seed fund, can be a boon for many technology firms moving from idea to commercialization. But it also necessitates government required financial recordkeeping and reporting, which can be complex to understand if you aren’t familiar with accounting, financial systems, and management control principles. When North Star Systems Inc, a company near Birmingham, needed help in adjusting its accounting system, its company president applied for a Phase 0 award assistance grant through the Alabama SBIR/STTR Support Program, started in 2014 by EDPA’s Alabama Launchpad program. The company, which was founded in 1997 and designs control systems made up of electronics and software used for, among other things, dropping fire retardant to put out forest fires, won a $5,000 grant to aid in setting up appropriate grant compliance accounting systems. “We had started the process of modifying our accounting system to meet U.S. Government rules, and news of the possibility of help was very welcome, since the task was growing larger the more we delved into it,” Ted Serota, company president, explained. Serota said he made application the same day he learned from Dr. Leonard Jowers, a North Star Systems staff member who attended several of the Alabama Launchpad startup competitions, about the accounting compliance assistance provided by EDPA. 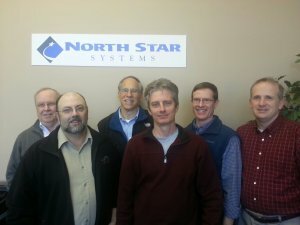 Serota said North Star, which is working with the accounting firm Barfield, Murphy, Shank & Smith, LLC, (BMSS), previously won a Phase I SBIR contract from the U.S. Air Force, and if requested, must submit a Phase II proposal with an adequate cost accounting system prior to initiating the Phase II proposal. Serota notes that government cost accounting is vastly different from what a technical person would expect, being a series of rules derived from the Federal Acquisition Regulations. “The help of outside experts that the award provides can ensure a successful audit by DCAA, Defense Contract Audit Agency,” Serota noted. North Star Systems is one of five Alabama companies to receive $5,000 SBIR accounting compliance awards through Alabama Launchpad. Interested in learning more about the SBIR program and application process or know of small innovative companies that could benefit? Visit the Alabama Launchpad website or contact Mary Hope Garmon at 205-943-4727 or email mgarmon@edpa.org.